Learning how to properly qualify a prospect in your personal training sales process is a skill that all fitness pros need to acquire. Avoiding the trap of qualifying off budget alone will help you convert more prospects into clients. Many prospects ask about price or what type of programs you offer because they don’t know where to start in their discovery process. You need to step up and take the lead in these conversations by redirecting the questions and focusing on their needs. 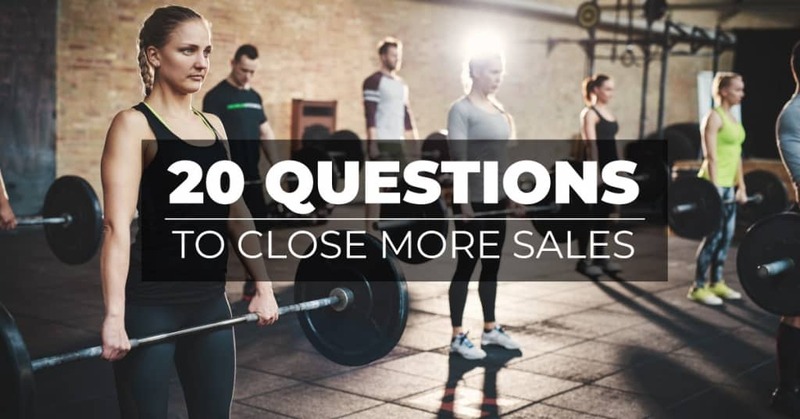 If you need a more indepth review of a process for qualifying prospects make sure to watch our How To Qualify Leads And Close More Sales For Your Fitness Business Video. You don’t need to ask all 20 of the questions below when qualifying a prospect. Use this list as a guide to help you accomplish your end goal and booking a Success Session or consult. Why are you looking to join a training program now? What triggered your decision to join? What’s made this so urgent or important? What experiences, good and bad, have you had with other fitness programs? What do you want to be different this time? What results do you expect to see from the work we do in our programs? What’s your most important and urgent priority? What’s keeping you from overcoming or your challenges? What have you been doing to overcome this challenge? What have you done in the past that you would like to be doing today? What do you want to be the best at? What’s is the value of your health and fitness? Are your current efforts showing results? How could you improve your relationship with health and fitness? How did you discover us? Have you taken the time to look at similar services? Who’s involved in making the decision? If you don’t join this program, how will you meet your goal? What will you do? How will you determine if we have been successful? If you don’t reach your goals, how will it affect your life? If we are able to help you reach your goals, how much is that worth to your quality of life? What makes you lose sleep at night? Or what do you need so you can sleep at night? Need Help Growing Your Sales & Income? Schedule a complimentary 60-Minute Discovery Call with an expert on the Fitness Revolution Team to help you find a solution to your growth challenges. On this call, you’ll be able to uncover the obstacles holding you back from reaching your goals and put a plan in place to overcome them. It’s time to end the guesswork and frustration so that you finally create the income and business you want.